Thanks to some great new releases, I really enjoyed my JRPG time in October. I was finally able to try The World Ends With You thanks to its Switch release and in the spirit of enjoying games on the go, I also took the time to continue playing other games I’ve been enjoying such as Torna, the Golden Country and started Dragalia Lost so I can have a portable to play on my smartphone too. So with those, two platinum trophies and some new games I was finally able to try, here are the JRPGs I Played in October. 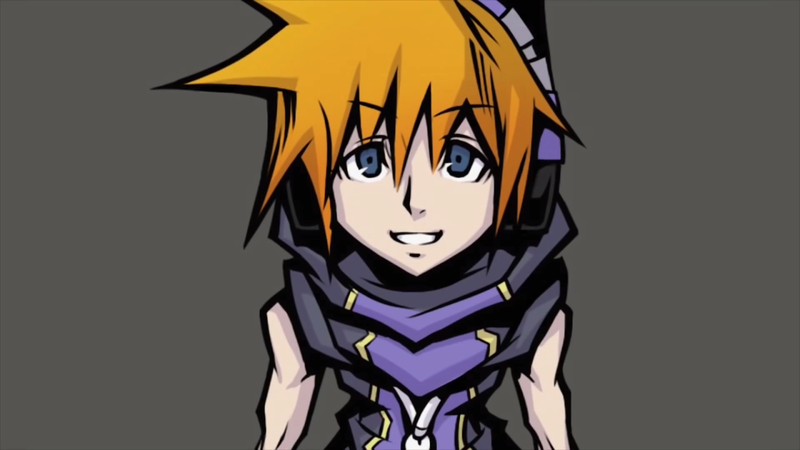 While I was tossing up between two games for this month’s JRPG of the month, I decided to give it to The World Ends With You Final Remix as despite spending only a few days binging it compared to the last new releases I played, it really did have an effect on me that made it feel special. I loved watching the protagonist Neku grow as his time in The Reaper’s Game went on and I really liked how the overall message of The World Ends With You had an impact on his world and the tone of the game. The whole thing was a treat to play in so many ways - the visuals make it feel like a colourful comic book, the cool music is still in my head and I found myself attached to most of the characters, both Reapers and Players, as their stories expanded more and more. I loved Final Remix a lot and since I got it digitally, I ended up also picking up a physical copy of the Japanese DS version as soon as I stumbled upon it because I wanted to have something I could hold of it and put on display somewhere since I loved it so much, and whether I check out the DS version to see what the Japanese script is like or go back to the fun touch screen swiping I enjoyed when playing handheld on Switch, this is no doubt a game I enjoyed enough to want to play again sometime. Dragalia Lost was another game I fell in love with in October and was a close runner-up for JRPG of the month for its content rich world that I got pretty addicted to once I gave it a proper chance. At the start of October I was playing it on and off as I do most smartphone games to see what it was like and loved how high quality it seemed for one with its explorable areas and small cutscenes, and the story itself seemed pretty deep in the first few parts. Towards the end of October, I finally took a day to really jump into it and found so many things that make it even deeper, with its character development systems and optional story moments making it feel like a pretty developed world, especially for one that lives in my smartphone. I’m towards the end of chapter 5 now and find myself having to consciously put it down since I find developing my party in its world very fulfilling, so as much as I need to play other things in November I do I hope I get at least a little time to jump into its fun world of dragons and JRPG party development in what is most likely my new favourite smartphone experience. I was going to try and put off playing Crystar until it got a localisation announcement, but its Japanese version was in my house because my boyfriend and I both wanted to play it so we bought it and seeing him play it while I edited videos had me thinking that “Maybe one chapter wouldn’t hurt” pretty quickly. 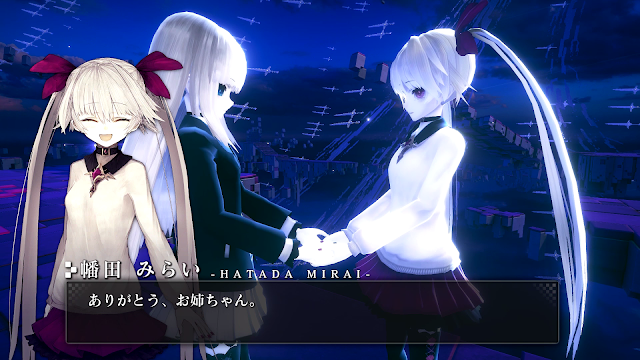 So, I played that one chapter and was able to confirm that this is still a game I want to play and see get localised. I will have a proper first impressions coming sometime, but running around its colourful dungeons was as smooth as I had hoped from the gameplay footage and I liked how much deeper its theme went - Rei’s story is the main story and its interesting enough in its own right, but after fighting monsters and seeing and reading their last moments in their Memoirs, there are some interesting smaller dark stories in Crystar I want to hear more of already and its lore definitely makes the world feel bigger than just Rei’s own problems. I’m going to try not touch it for a good while in the hope there will be a localisation announcement, but I’m glad I tried it so I can be excited knowing that this dark fantasy JRPG looks just as good as its trailers make it look so far and I’m crossing my fingers we see an announcement sometime in the near future. 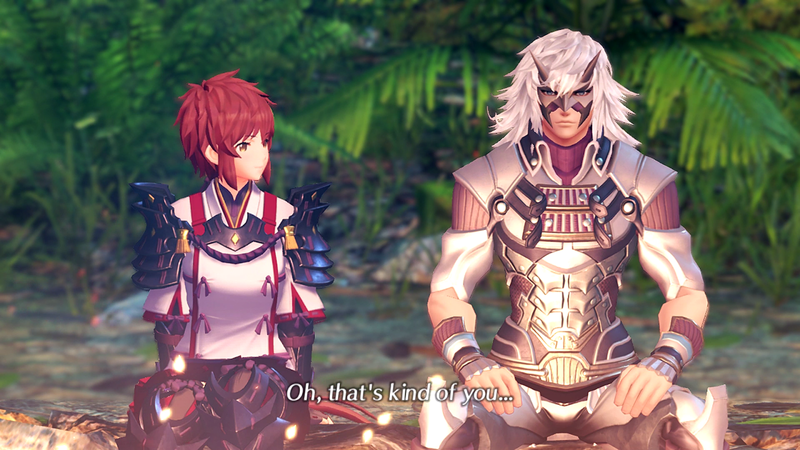 Since I loved Torna, the Golden Country so much in September, I had ordered the physical copy of its Japanese version to try in October and I did pick that up a couple of times in what became a deep dive into the many Japanese words I didn’t know as I tried to understand it as much as possible. Understanding the story itself wasn’t a problem as I’d already played it through in English, but the Japanese version also wasn’t an easy game for my Japanese level as I tried to learn from it, so I instead found certain things smaller things in between looking things up interesting like hearing the Japanese voices for the first time and hearing how different ones like Lora’s were. I also found the alternative names interesting, particularly Jin being called “Shin” in Japanese and I’m curious to see what else is different as I play. Above all, it felt refreshing to return to this world again. I loved hearing its music and collecting little things in its world again and remembering why it’s so fun and while I’m multiple hours into the Japanese version but only very early on in the campaign thanks to having to look stuff up, I don’t know when I’ll next get to jump into it but it’s still a world I’d like to complete more of the small parts of soon as I loved the full version so much in English. Something I really wanted to do before Persona 3 Dancing in Moonlight and Persona 5 Dancing in Starlight came out in English was platinum them in Japanese so they could join my Persona 4 Dancing All Night platinum before I buy them all in English, and since I just wanted to relax on my birthday last month, I figured what better way was there to do that than with Persona rhythm games? I’ve been playing the games very briefly on and off since I reviewed them months ago, so I mostly just had to tie up loose ends like unlocking all the special modes by using some of the crazier ones and unlocking all the social events by wearing many weird and wonderful combinations of costumes and accessories. 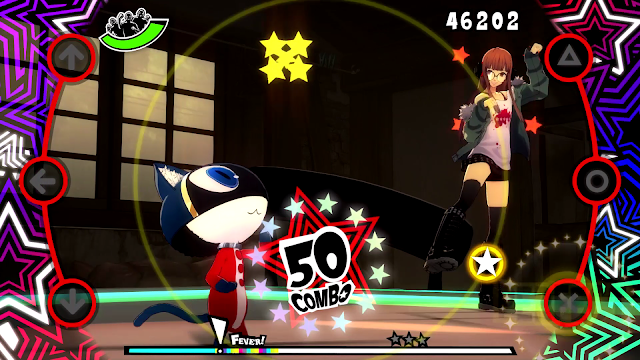 Since I love Persona and rhythm games, platinuming these was a lot of fun and I found a few tricks that made it faster that I hope to share sometime in other videos, and most of all, I enjoyed them both so much that I hope to do it all again when the English versions are finally out. 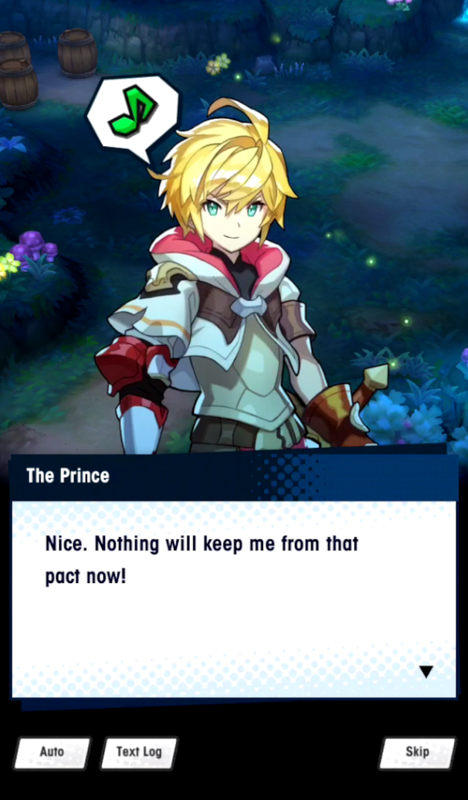 It’s the beginning of November already and I spent the first week of it binging Dragalia Lost’s raids and co-op in its recent event after looking at the footage for my first impressions of it made me really want to play it. As the month gets underway, I definitely have some bigger games I’m ready to jump into: I loved World of Final Fantasy so much back in 2016 that I gave it game of the year on the blog, so its Maxima edition is something I’m so keen to jump into on Switch and I’m looking forward to seeing what’s new in its adorable monster collecting world, like its new monsters and characters. 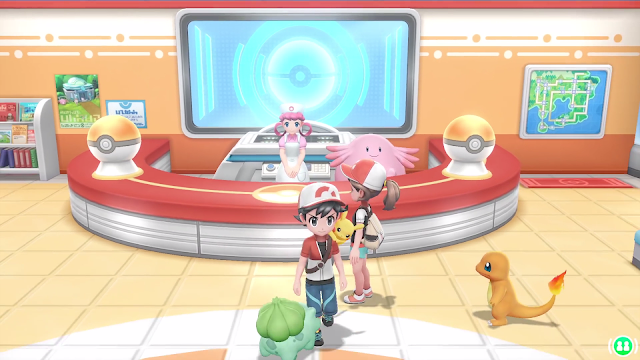 And speaking of monster collecting on Switch, Pokemon Let’s Go also comes out midway in the month and I’m getting more and more excited for it too as more trailers come out for it - I particularly loved the Lavender Town one that came out on Halloween and each trailer gets me more nostalgic for Pokemon Yellow, so I’m sure it’ll be fun to be play with its updated graphics and systems. I’m also interested to see how the Pokeball controller plays because the analog stick in my own joycons definitely needs a little help right now as I think I need new ones. There was one more game I wanted to try in November in the form of Persona Q2 which comes out in Japan towards the ends of the month, but I will most likely end up leaving it because with two sizeable monster collecting JRPGs out in November, I can’t see where I’d find time to play it, especially since it’s the Japanese version, but I’ll be keeping an eye on what people say about it because it’s another game I hope comes west sometime, even though I still haven’t finished the first one. So with Pokemon Let’s Go and World of Final Fantasy Maxima, November looks like a month full of monster collecting fun and with these two nostalgic games on Switch, I’m looking forward to reliving two of my favourite portable JRPGs in their updated forms on the go. You can pick up most of these games on Amazon and Play-Asia! What did you play in October? 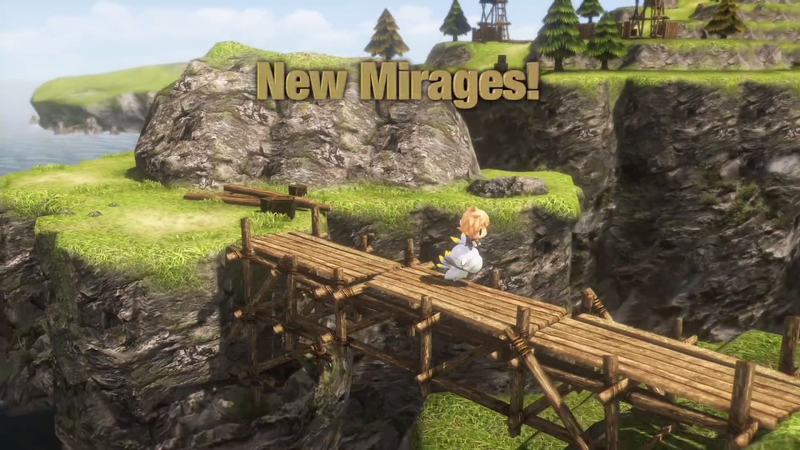 What are your JRPG plans for November?